Italian SINTEC is starting a worldwide communication campaign to raise awareness about the SeatBridge solution, which has been granted the Italian Patent N. 102016000060616 and is expected to complete the European patenting process in late 2019. 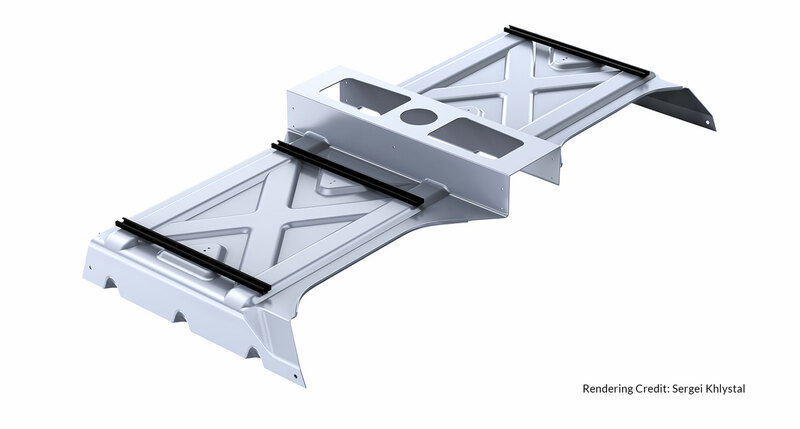 SeatBridge offers an effective solution to the issues that characterize the conventional seat mounting system, in which seats are connected to the floor through a pair of rails. At the moment SINTEC is the sole owner of the exclusive rights to produce, use, market, sell or import on the Italian national territory. 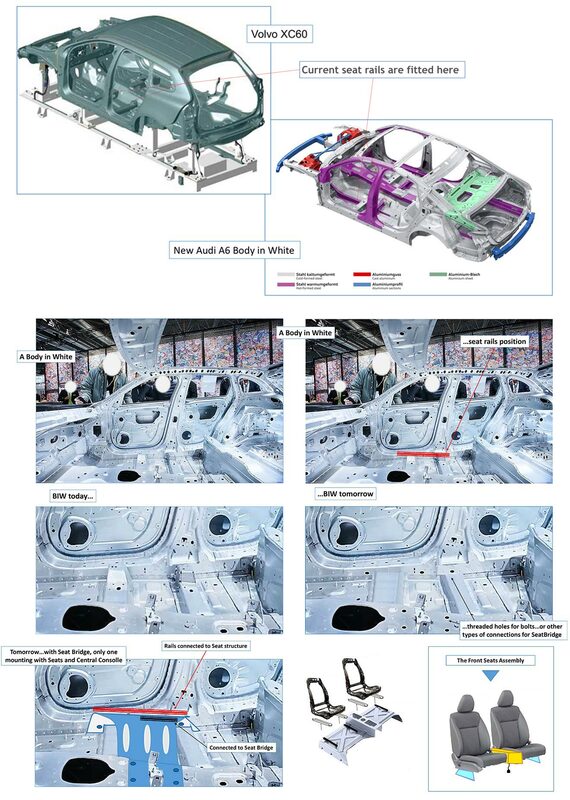 In order to turn this concept into a production reality that could benefit the entire automotive industry and car passengers from all over the world, SINTEC is advancing the negotiations currently in place as well as looking for new companies and organizations willing to incorporate this solution into their production lines or to invest for reserving exclusive rights for licensing once the solution is implemented - which in SINTEC's point of view will happen in the next future due to the objective advantages it brings. SINTEC founder Claudio Buccini commented "The current standard seat mounting solution has reached a high level of standardization but has not progressed in decades and still suffers from the same problems: it leaves little space for rear passengers' legs and feet, and with its cluttered, primitive look, it detracts from the elegance and design of any car interior - even on luxury vehicles." "For this reason, and also due to the revolution that electric cars will bring in terms of platform architecture, it's only a matter of time until the SeatBridge solution is widely implemented." "Today there is an opportunity for those companies that are willing to invest for either developing the technology or ensure licensing rights for the future. Negotiations are in place but as it happens in these cases it's likely to be a first-come, first-serve deal: that is why our message for this communication campaign is “...if you don’t choose SeatBridge...someone else will do it !”"
For more technical details or to get in contact with SINTEC you can refer to the official website https://www.seatbridge.com, the Linkedin page or contact the development team at sintec@carbodydesign.com. 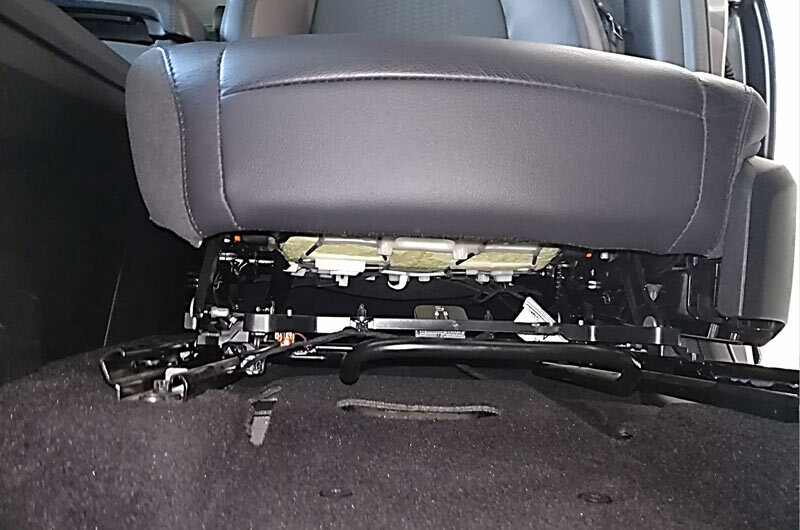 SeatBridge offers a solution to a number of problems that characterize the conventional mounting system, where seats are connected to the floor through a pair of rails, as you can see on all current cars of the world. 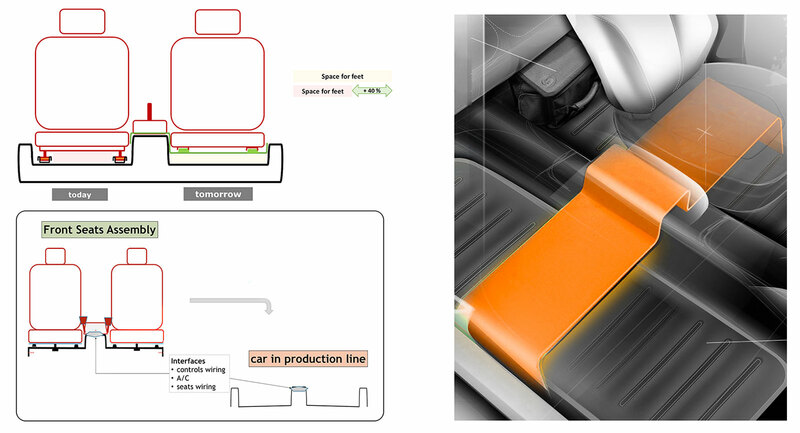 The SeatBridge structure is easily connected to the car’s structure in the door sills and center tunnel area, and together with the seats and center console can be supplied and installed as an independent module, in a single operation - instead of three - on the final assembly line. 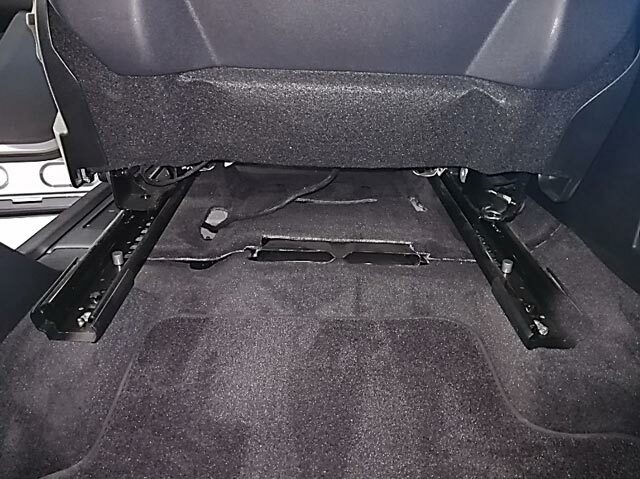 Most, if not all, of the front seats of production cars are currently mounted separately on two rails directly connected to the floor. 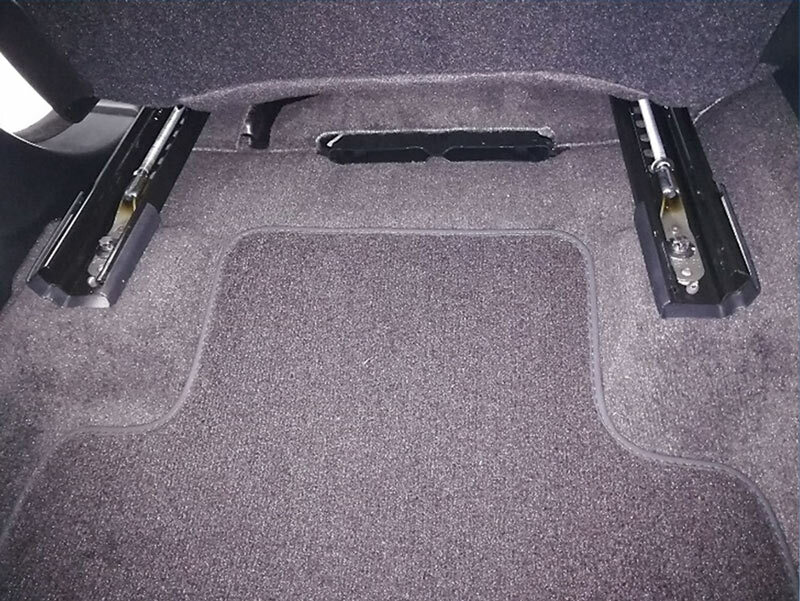 These rails provide an easy way for adjusting the seats longitudinal position, but have a major drawback: they significantly reduce the foot space available to the rear passengers, also reducing the comfort and without any aesthetic as well. 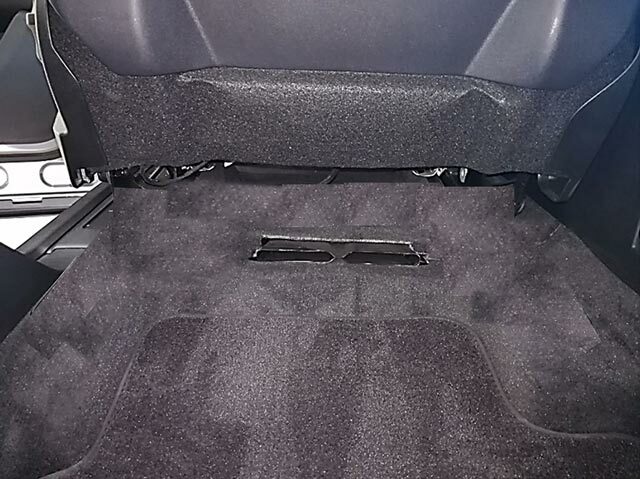 The goal was to find a solution to this problem in order to give rear passengers a much larger foot space and to achieve a better, uncluttered look. 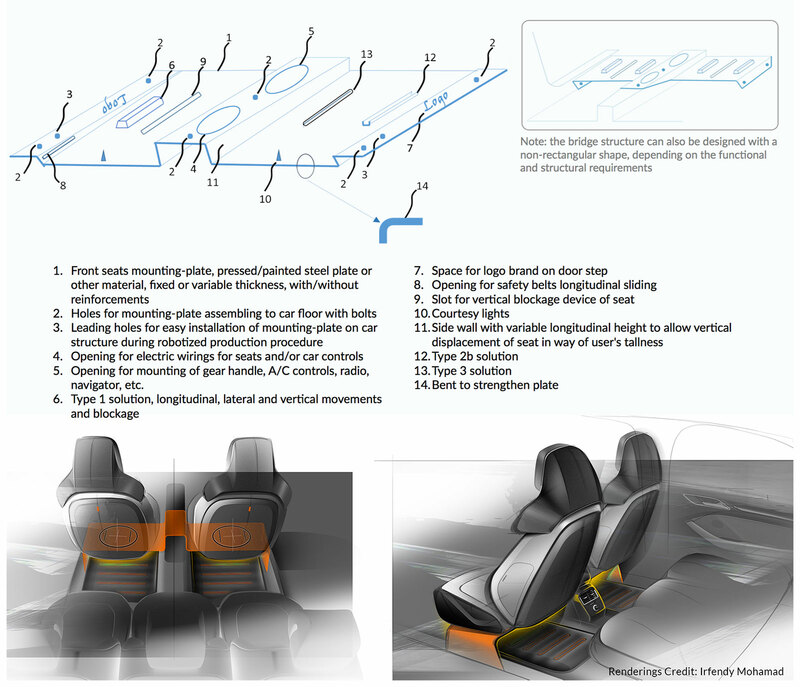 The proposed solution is to raise the position of the front seats sliding elements by inserting a"bridge" structure made of a folded metal sheet (or equivalent functional element). 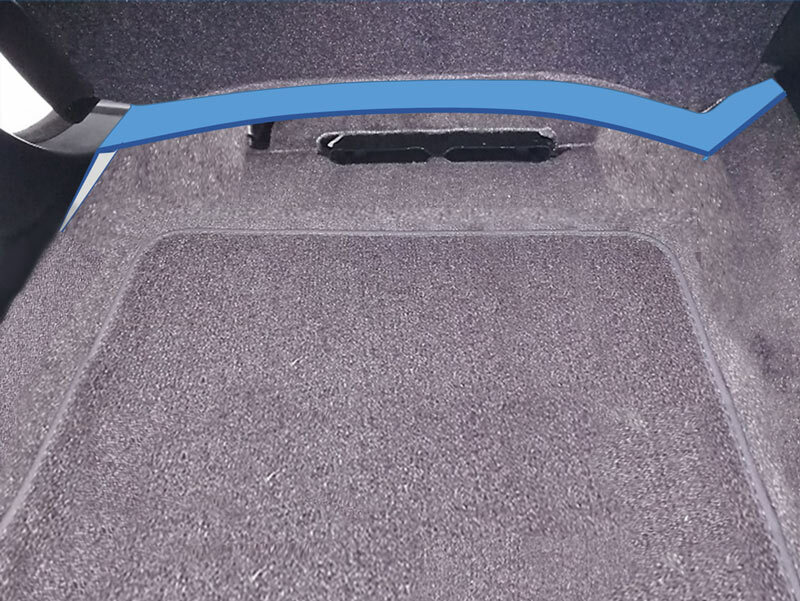 The patent pending solution, that integrates the front seats mountings as well as the center console. The structure is connected to the car’s structure in the door sills and center tunnel areas. Save your feet - and your Shoes! Lower production costs: one robot only, less items to be installed, less wiring, etc. From a "workshop look"... to a "Sitting Room look"
For the sake of clearness and transparency, hereinafter we include some possible concerns that could be raised by this solution, as it always happen when innovation has to be assessed. 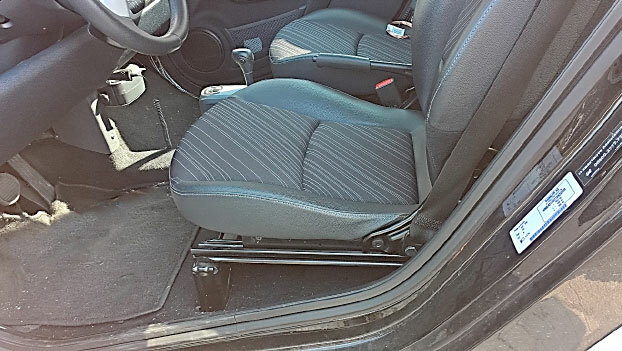 The strength of the car can be decreased: The car strength does not depend on current front seats mounting systems. 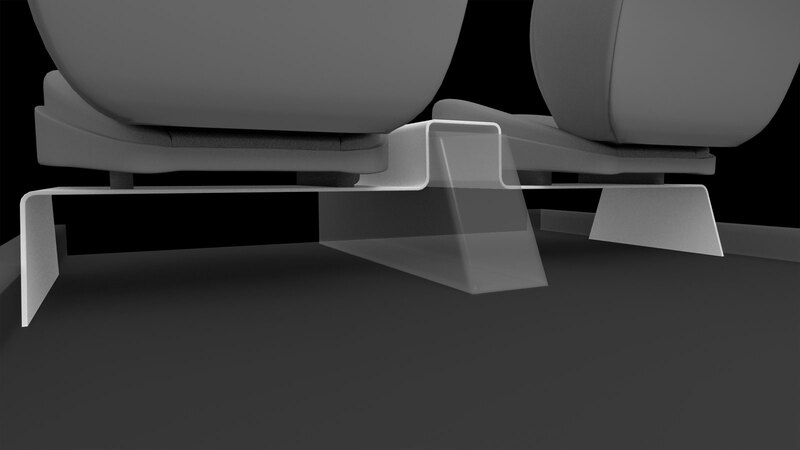 SeatBridge makes it possible the creation of a transversal reinforcement under the front seats, hence dramatically increasing, if needed, lateral impacts resilience. The cost is too high: The cost of the SeatBridge itself is only a little bit higher than the present-day rails solution, but the cost of the car decreases due to the much easier installation of the whole Front Seats Assembly which includes also the Central Console and all wirings for: safety belts, passenger presence sensor, lighting, heating, A/C, other Car Controls. 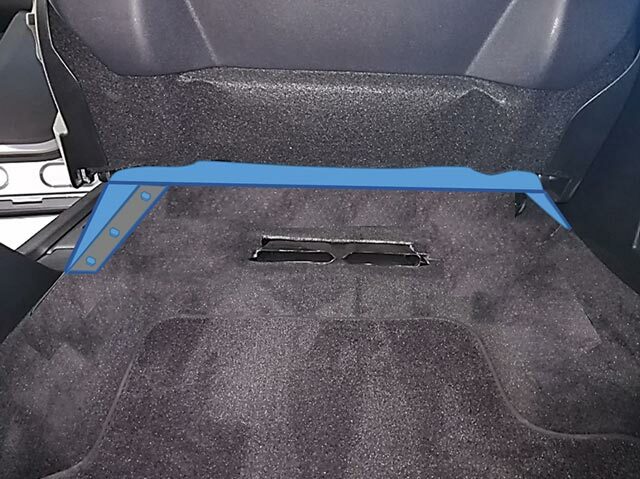 The solution could implicate some weight increase: True, but it is in the 1-8 kg range only, starting from an aluminum solution for a Fiat 500, to a steel solution for a Mercedes-Benz S Class. 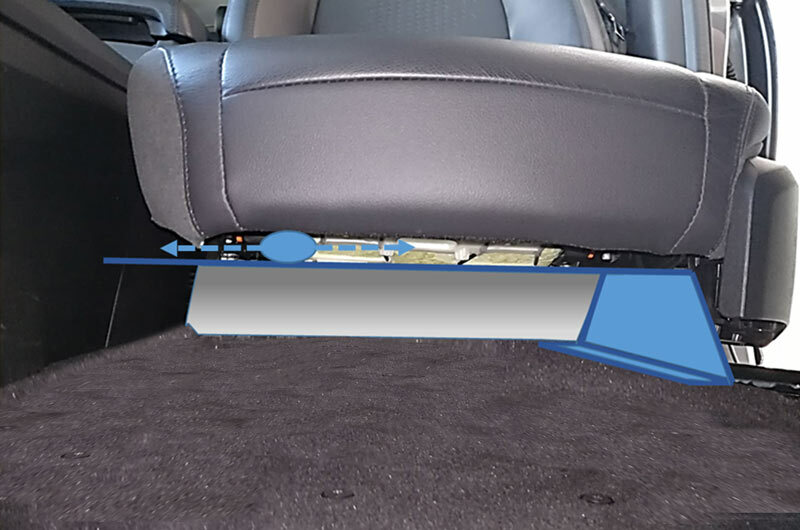 The adoption of the suggested solution needs modifications to the car floor: To be studied case by case of course, but new car floors will be more simple of current ones; proper solutions can be easily studied for existing car floors. 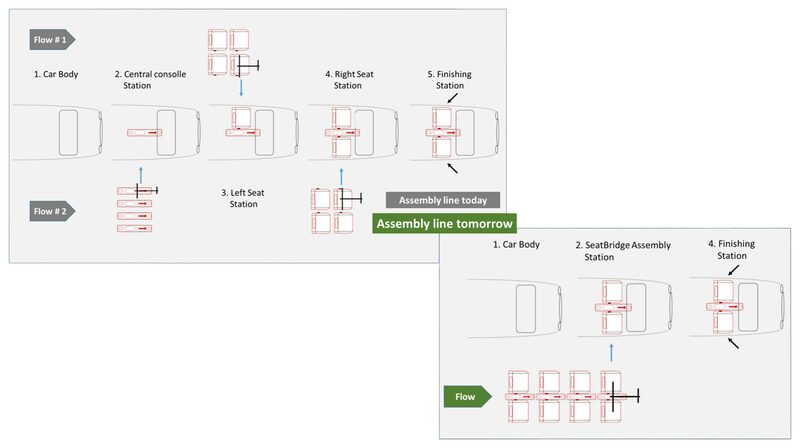 Seat structures will have to be modified: not so much, because all mechanical/electric parts of the seat are today “included” into the seat; SeatBridge will not modify them. 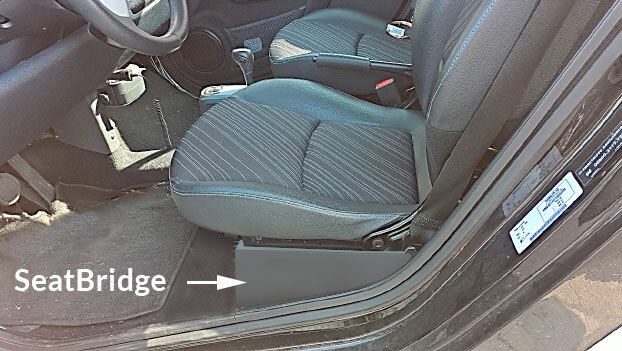 The connection between the seats and the SeatBridge is not part of the patent; anyhow the patent application includes some specific proposals that show the ease of the assembly. SINTEC was founded by Claudio Buccini, a naval and mechanical graduated engineer who served the Italian Navy and worked - amongst the others - at Riva Shipyard, Wally Group and Finmeccanica Spa, always at executive level.